.... In the first stage, Christian youth leaders created youth-friendly versions of the faith in a desperate attempt to save the world. Some hoped to reform their churches by influencing the next generation. Others expected any questionable innovations to stay comfortably quarantined in youth rallies and church basements. Both groups were less concerned about long-term consequences than about immediate appeals to youth. Despite its obvious weaknesses, this juvenilized Christianity proved highly adaptive to cultural changes. It fared equally well in the buttoned-down 1950s and the psychedelic 1960s. Long before the 1960s counterculture alerted everyone in America to the "Generation Gap," white evangelicals were already highly skilled at adapting their message and methods to young people. The pioneers of YFC and Young Life paved the way for evangelicals to accept long hair, Christian rock, small groups, or any other cultural adaptations that might be needed to capture the attention of later generations. Some of the growth of conservative churches over the subsequent decades would come from this expertise in recruiting and retaining young people. The final step in the process was the transformation of American adulthood itself. Older cultural conceptions of adulthood encouraged responsibility, self-denial, and service to others. In the first half of the 20th century, most people clearly entered adulthood in their teens or early 20s by virtue of getting married, getting a job, and having children. More recently, the passage to adulthood has been delayed and rendered more subjective for most middle-class Americans. In what sociologist James Cote calls the new "psychological adulthood," the individual's "needs and wants" expand and his or her "obligations and attachments" contract. The seven deadly sins have been redefined: "pride has become self esteem … lust has become sexuality … envy is now channeled into initiative and incentive … sloth has become leisure." Of course, many adults still value virtue and deplore vice. But they also increasingly view life as an unending journey of self-development. And the contemporary landscape through which they journey has many paths that can end in self-centeredness or even narcissism. 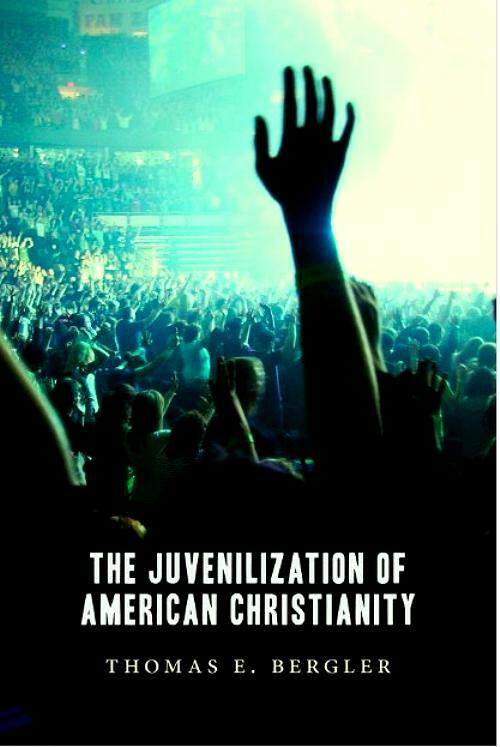 In short, at least some traits that should be included in Christian maturity have been decoupled from adulthood in post-1960s America, and this change has encouraged juvenilization. Indeed, it is likely that the juvenilization of American Christianity and the emergence of the new immature adulthood have mutually reinforced one another. We're all adolescents now.